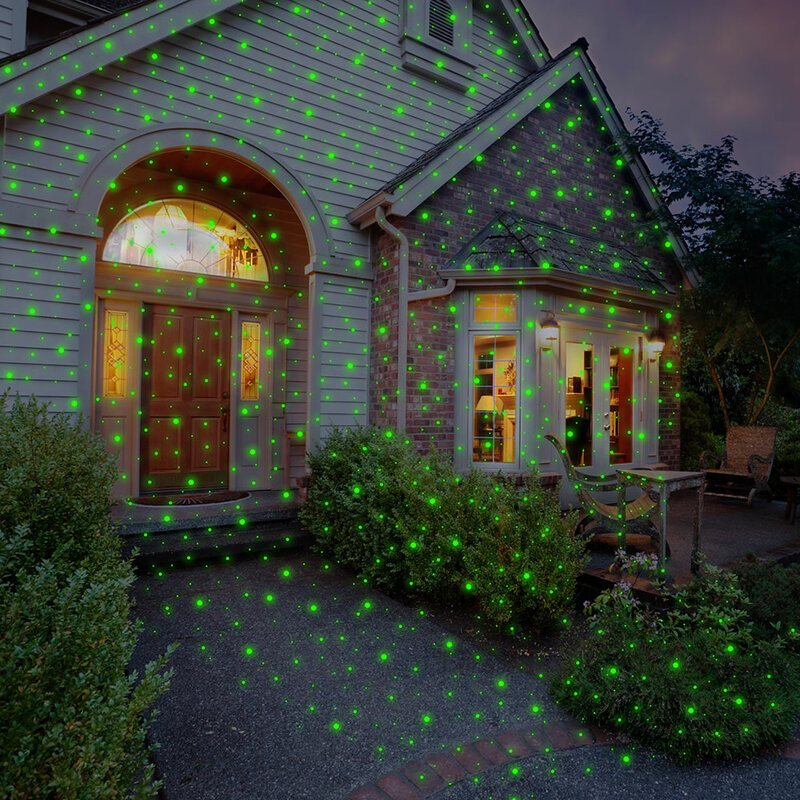 The popularity of outdoor laser lighting has increased significantly in the recent past. This includes more people preferring to use laser lights during Christmas over the traditional lights. The increase in popularity is mainly attributed to more people understanding the primary benefits of laser lights in different uses. Here at ATMG, we will go through the primary benefits of laser light during Christmas. Using traditional lights during Christmas requires one to take time to position the lights properly. It is necessary to have a ladder especially while positioning the lights on high places. To mount the lights on a Christmas tree is even harder and more time consuming especially if the tree is relatively tall. Furthermore, to properly position the traditional lights one will need things to hold the lights in place and this might even require one to damage the walls. However, laser lights are convenient to use since one just needs to mount the projector, point it and then plug it into the power source. This saves a lot of time and makes the process simple where even a person without electrical skills can use the laser light. The laser lights do not require any kind of cable except the one from the power source to the projector. This is another important benefit because the cables can cause a lot of issues while installing and even while storing the lights. Furthermore, in case a section of the cables is faulty the entire system will be affected. This makes laser lights more ideal since there will not be unwanted cables. The bulbs used on traditional Christmas lights usually burnout easily and even a single bulb can affect the entire system. This means that while using the traditional lights one has to be worried that the lights might burnout. But while using the laser lights one does not have to worry since the projectors are very reliable. These projectors are made in a way that they can last for long hours without experiencing problems. Furthermore, the projectors used on laser lights usually give ample warning before fading out and this provides the users with enough time to replace them. Just make sure you don’t point them to the sky nor towards a flight path as it may cause disturbance to pilots and planes. Even though Christmas lasts just for a short period one can save significantly on power through using laser lights. This is because these lights consume very little power compared to the traditional Christmas lights. It is estimated that while used for the same time the laser lights will use less than five percent of the power consumed by the traditional lights. This is one of the primary benefits of laser light during Christmas because people are able to save the money that would have been used on power. Therefore, by using laser lights during Christmas people can enjoy the outlined benefits and therefore have a more enjoyable Christmas.